We, the Marian Sisters, strive as a Community to have the spirit of the Gospels, a spirit of joyful love. We desire to be a powerful dynamo directing the energies of each individual member so that together we may influence the world and bring the message of God’s love into it. Within Community, we aim to be of one mind and heart, having a holy and intimate bond of peace and love. 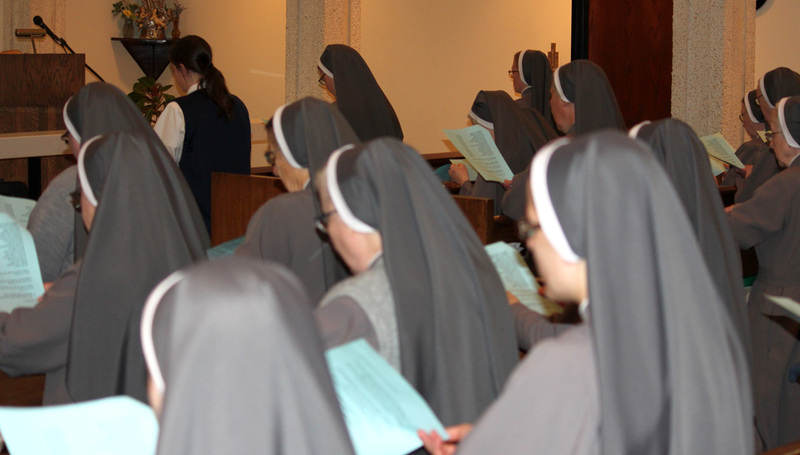 We have formed a chain, as Sisters in Christ, whose links are joined by fraternal charity. As members of one family in the Lord, it is fitting that we worship Him in Community. The Mass is our central act of worship and our source of strength and unity. In the Divine Office and other times of common prayer, we sing God’s praises together. Our times of recreation are a pleasant means of glorifying the Lord and supporting each other. Our common home is a haven of peace and privacy.